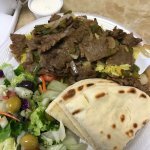 There aren't enough food, service, value or atmosphere ratings for Greek Style Gyro, Tennessee yet. Be one of the first to write a review! Let me start by saying: This is a typical Gyro place. But the gyros are always fresh, and good! The people who own, and run the restaurant are always genuinely friendly! These guys are great. The food is the best and price is great too. You will love it. If you've never tried a real Gryo... try it here! I had the Gyro salad with everything. Tiny little restaurant but the food is great. Great customer service. I highly recommend. Fast Friendly Service EVERY Time! You will not be disappointed with the fast and friendly service here! The food is very good, from vegetarian to Gluten Free - it's all good. My husband loves the food here as does friends of ours. The owner is a very pleasant man. Good sized portions also. I randomly chose this place due to their being primarily only fast food outlets in Springfield. 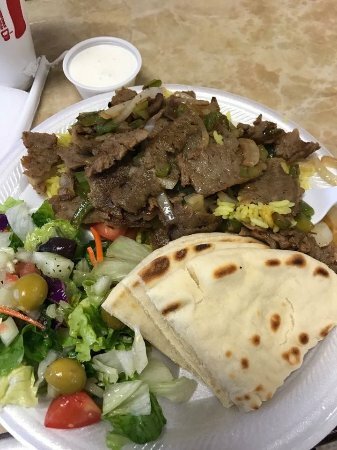 Ordered a Gyro plate for lunch. Very good and the price was right (about $9). Get quick answers from Greek Style Gyro staff and past visitors.